GohGanDen lunch at Mizumi in Wynn Palace, Macau. 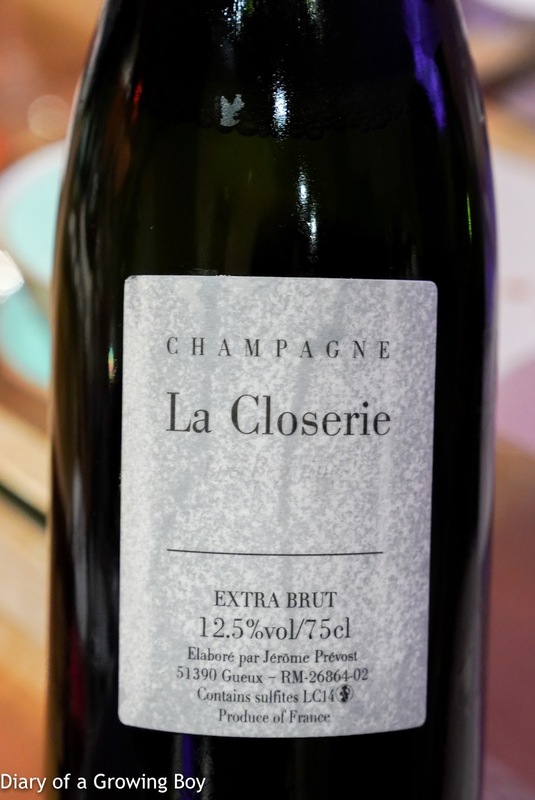 La Closerie Extra Brut - very yeasty nose. Lots of mousse here, and very floral. Nice. 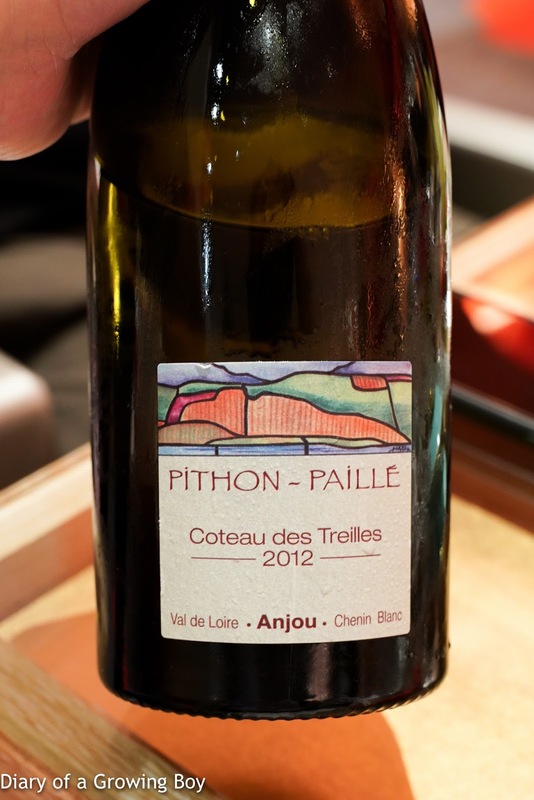 2012 Pithon-Paillé Coteau de Treilles - nice acidity here. Tasted a little complex and unfiltered, with some oak. 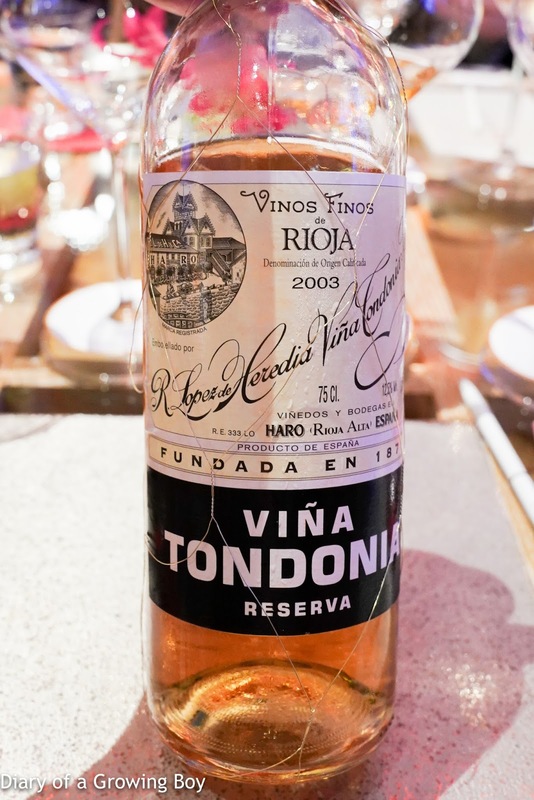 2003 López de Heredia Blanco Reserva Viña Tondonia - very oxidized nose, really sweet nose with lots of vanilla and marzipan. Ripe on the palate with good acidity. 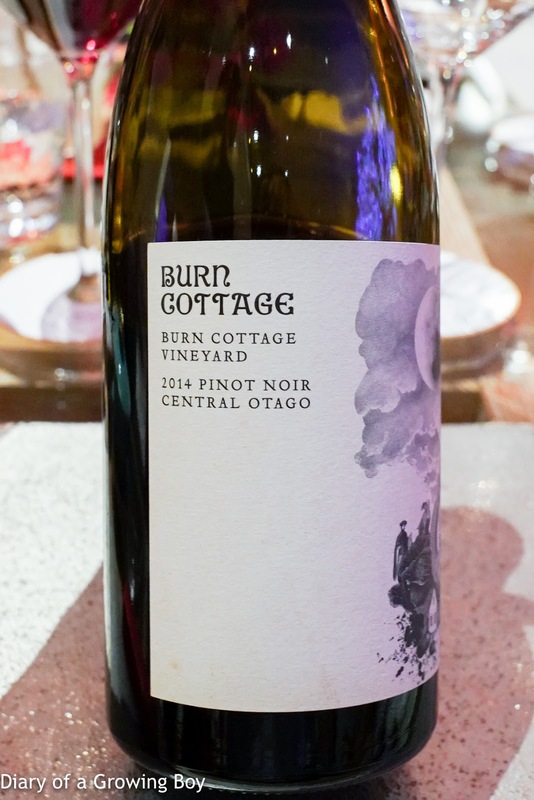 2014 Burn Cottage Pinot Noir Burn Cottage Vineyard - sweet and ripe fruit. Pretty nice. 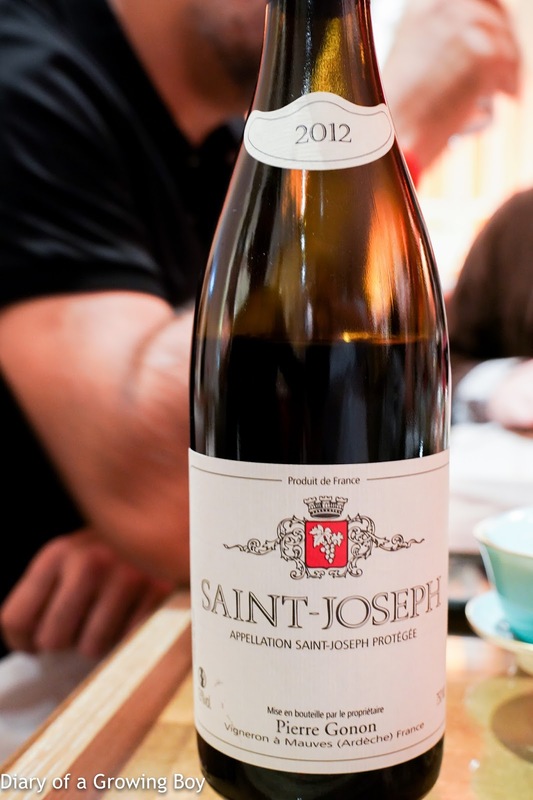 2012 Pierre Gonon Saint Joseph - very ripe and sweet on the nose, almost jammy, with nice notes of dried herbs, almost floral. Still pretty tannic. 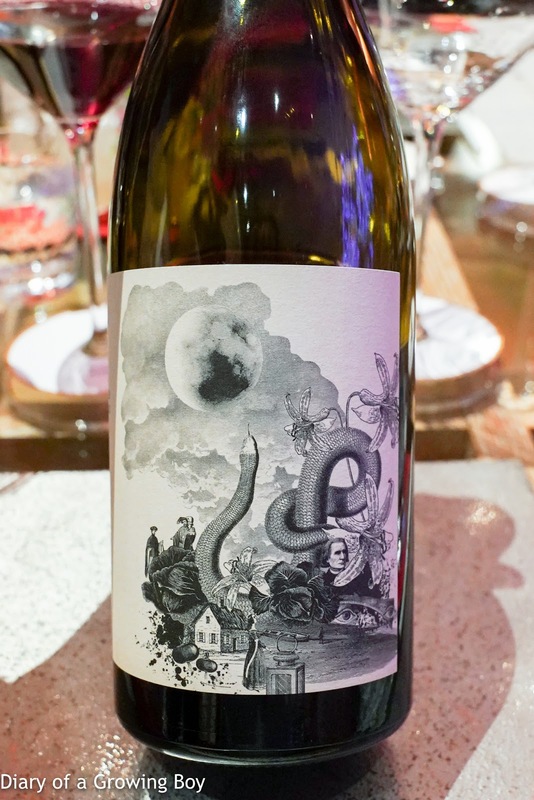 2015 Gut Oggau Mechthild - totally bong water! Just look at how cloudy and orange the thing is! Nose was definitely pungent with minerality and fizziness. 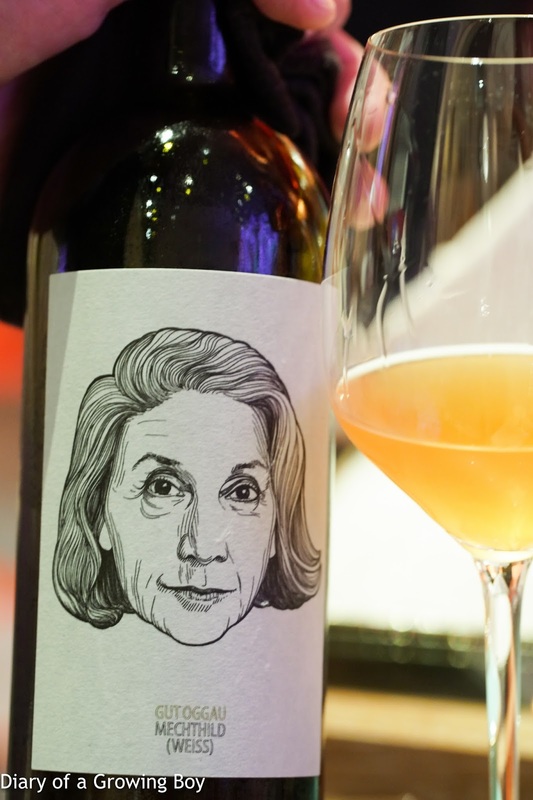 It's actually more like a French cidre and less like wine.